The good thing is that i got to see the length off the needles, and it looks perfect. 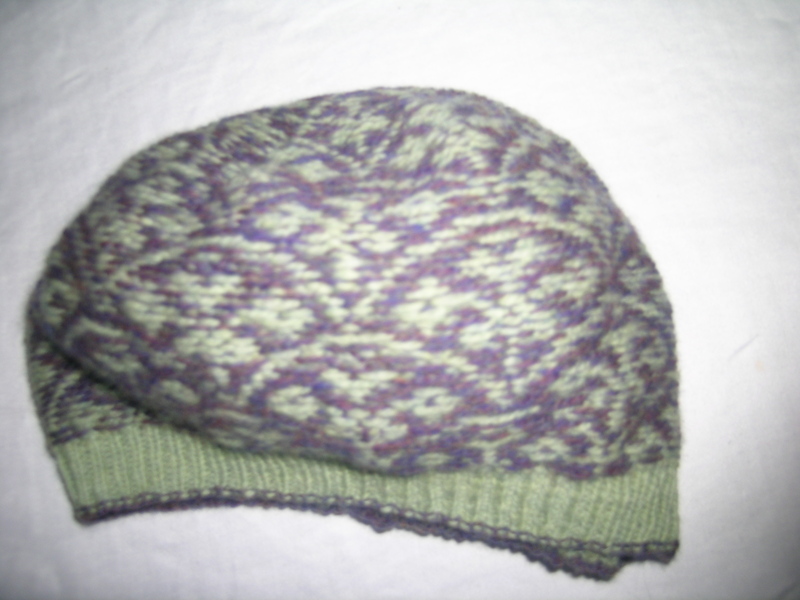 That is a real guess with this pattern, as it is knit lengthwise. I thought that I could do it. After all, it is only a scarf, and I gave myself 2 weeks to knit it up. But I should have heeded the comments on Ravelry. It was the Henry after all. I read about people who have been knitting on this scarf for a year. That seems a bit excessive to me. I am about 1/2 way through it. It was an uncompleted Christmas gift for my husband. I used Malabrigo sock yarn in the colorway Impressionist Sky. It is very dense. After conversing with someone making the same scarf in the same type and color of yarn, I decided to go up a needle size to #2. I probably could have even done a size 3. This is a very dense knit, and has the look of a woven scarf. It will definitely be warm when finished. For the tubular cast on I did not follow the directions in the pattern. I usually do a crochet chain stitch cast-on (of 1/2 of the desired stitches plus one), and pick up a stitch in each chain. Then knit 4 rows on a needle 2 sizes up from what the garment will be knit on, before picking up the alternate stitches. If this is done correctly, you just unzip the crocheted chain, and Voila! it is done. The only problem is that I have a hard time keeping the chain straight, and end up having to fiddle a lot with it, especially when the rows are long. 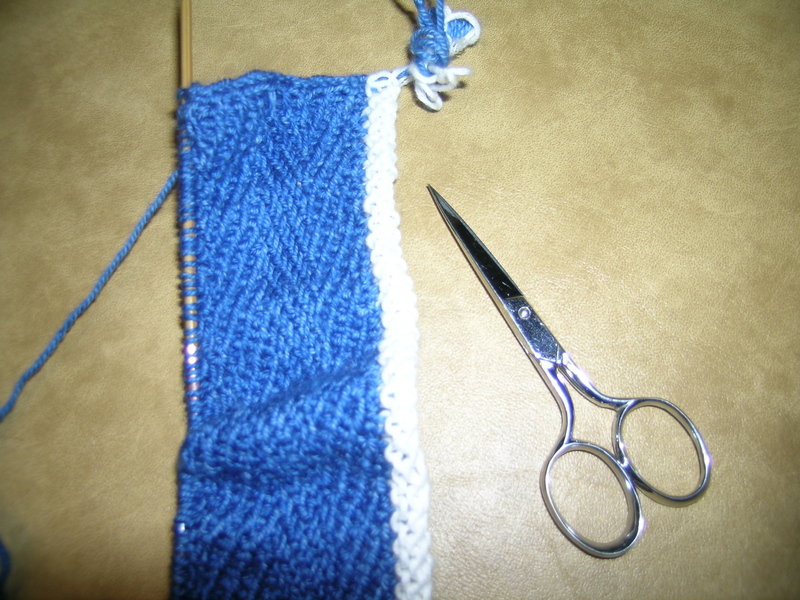 Cast on 1/2 +1 the desired number of stitches in a contrasting color. I used a cotton yarn of approximately the same weight, so that it would be easier to separate the yarns apart. 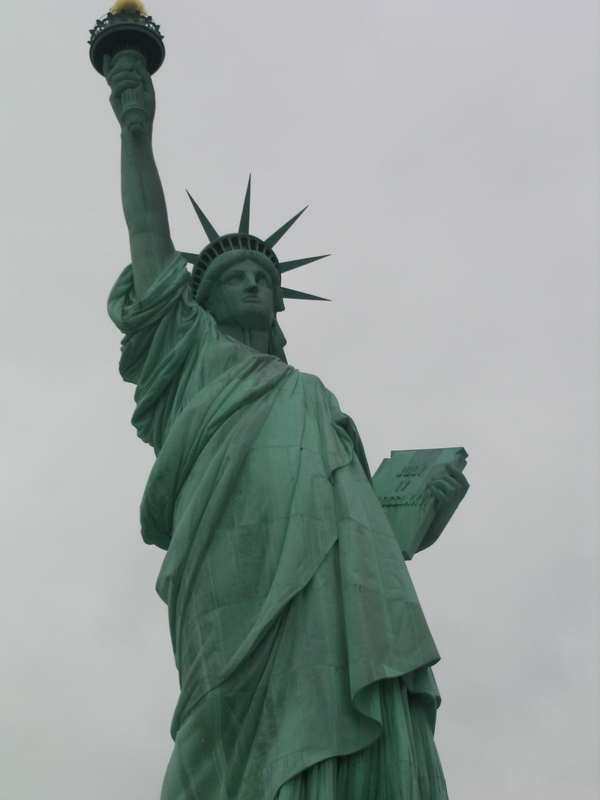 You need to use a needle approximately 2 sizes larger than what you will knit the garment with. Knit 4 rows or so in the contrasting color. The number of rows does not really matter much, as these will be cut away later. You just need enough of a bite so that when you do cut the yarn, you do not damage the edge of your knitted garment. Change to the yarn that you are knitting your project with. 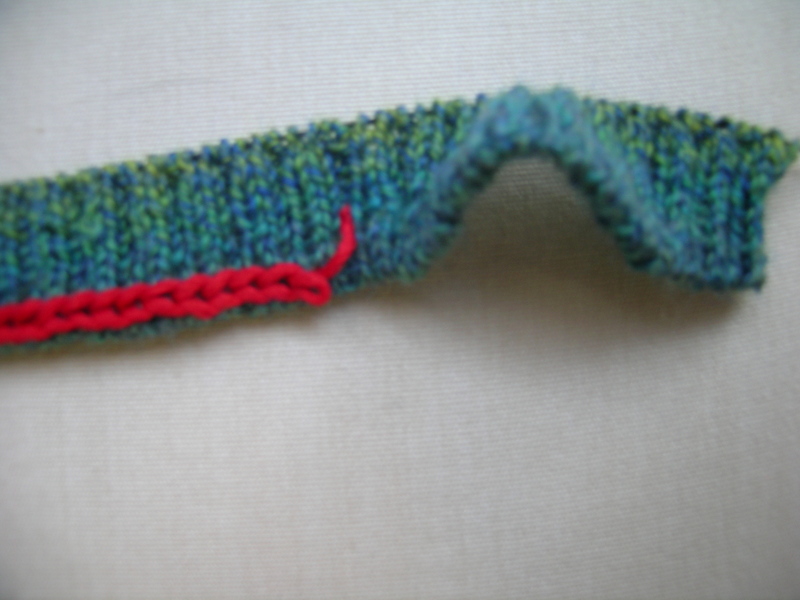 Knit 3-4 rows in stockinette stitch, ending with a knit row. Now, the tricky part. 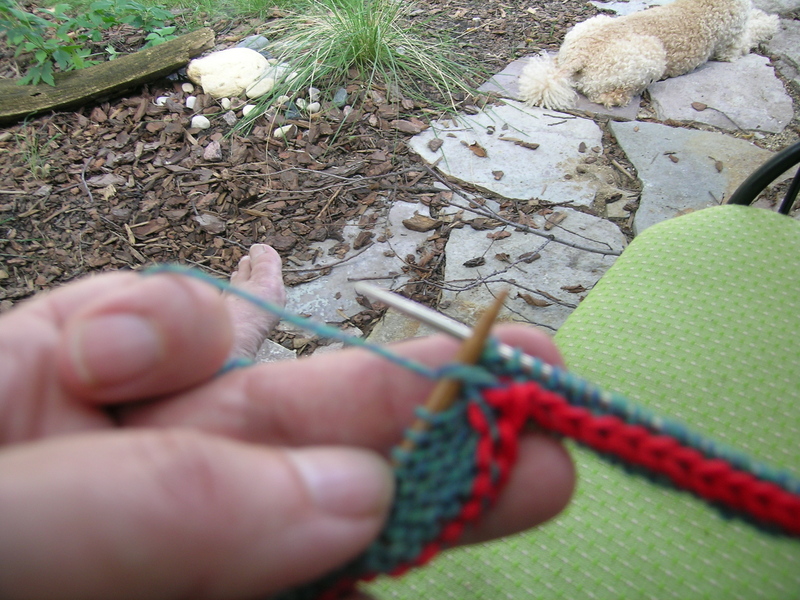 Using the smaller needles that you will knit the finished project with, Purl the first stitch. *Take your left needle and reach down into bump that you will see at the front of the knitting, and pick up that bump (highlighted, as it stands out against the contrasting knitted fabric), and knit that stitch. Purl the next stitch. * Repeat from * to * until you have completed the entire row. 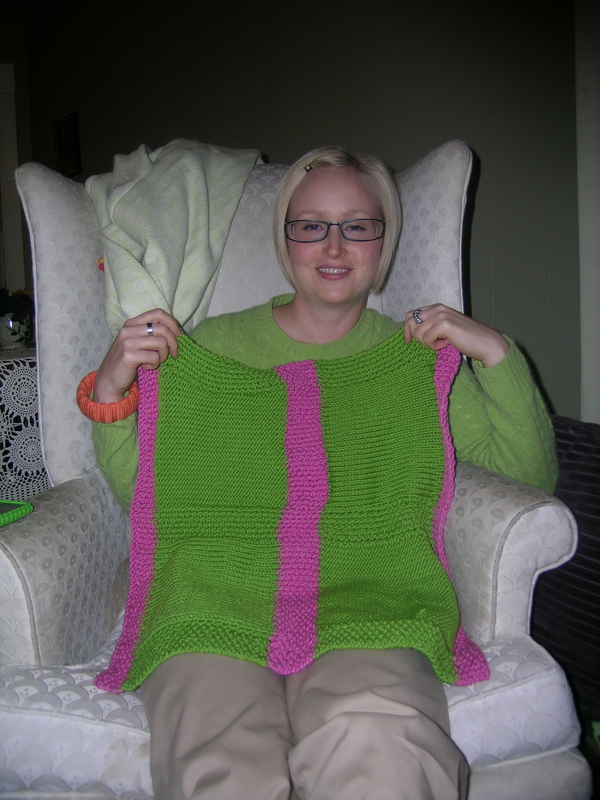 This gives you a K1, P1 rib starting and ending with a Purl stitch. You can then continue in ribbing, or, as in the case of the Henry, changing over to the pattern. After you have completed a few rows, take out the contrasting yarn by simply cutting it, and pulling the left-over remnants of yarn away from the edge. You will have a very smooth elastic edge. I am a perfectionist. Credit that to my birthday. 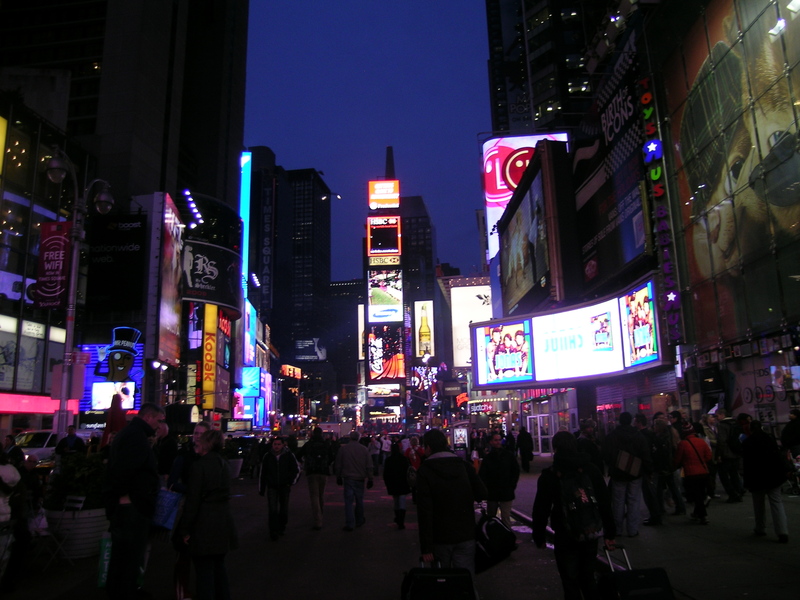 I spent a week in NYC touring while my husband was working on business. That was very fun. 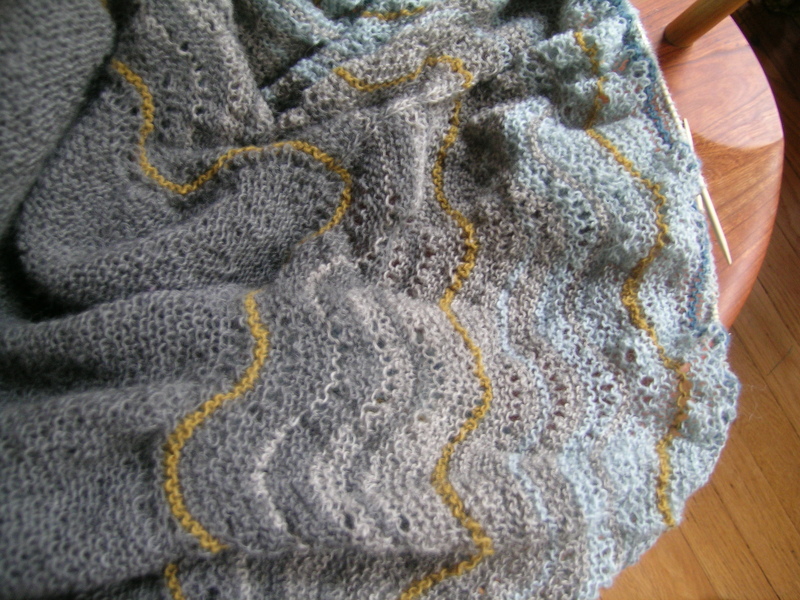 I took this shawl along with me on the trip, as it is good knitting where you don’t have to think a lot. Or, at least I thought so. I was working on it at the airport, and noticed that I had made a mistake several rows back, 20 ridges to be exact. At the rate of about 1,000 stitches per round, that meant about 40,000 stitches ago. I thought about ripping it back then, but my husband convinced me that I was the only one who would ever notice it. I kept working on it, until my beautiful new lantern moon needles broke on the wooden shaft. So, I was done with that project for the trip, and moved on to a scarf. When I got home I ordered new needles. A big thanks to WEBS, as they sent out a replacement at no cost right away so that I could change needles. I also ordered a 60″ circular, as this project is getting very big. When I went to change needles the other day, I decided to rip back to the error, and knit it correctly. Yes, I am the only one who would have ever noticed, and the shawl is for me, and it would have always bothered me. 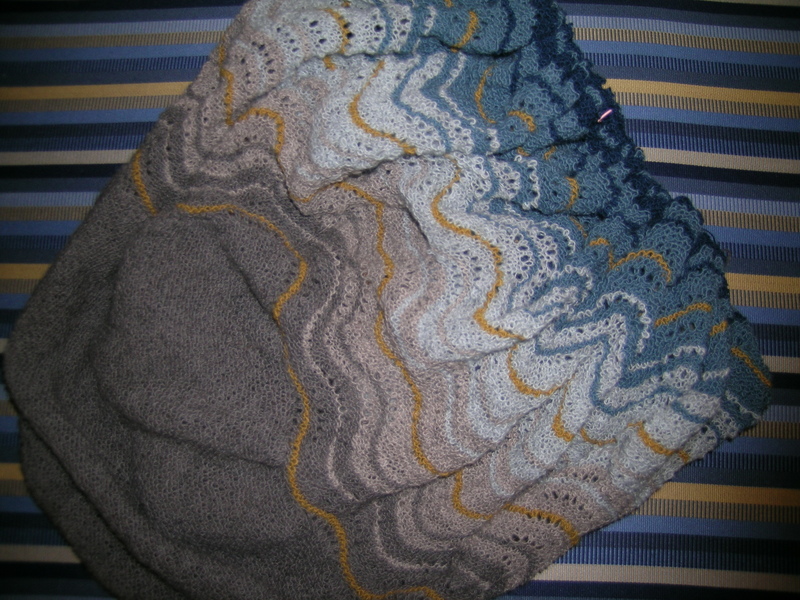 Here is a photo of the shawl on the chaise in the hotel room. Aren’t the colors a perfect match? I am rethinking adding the deep purple at the end. 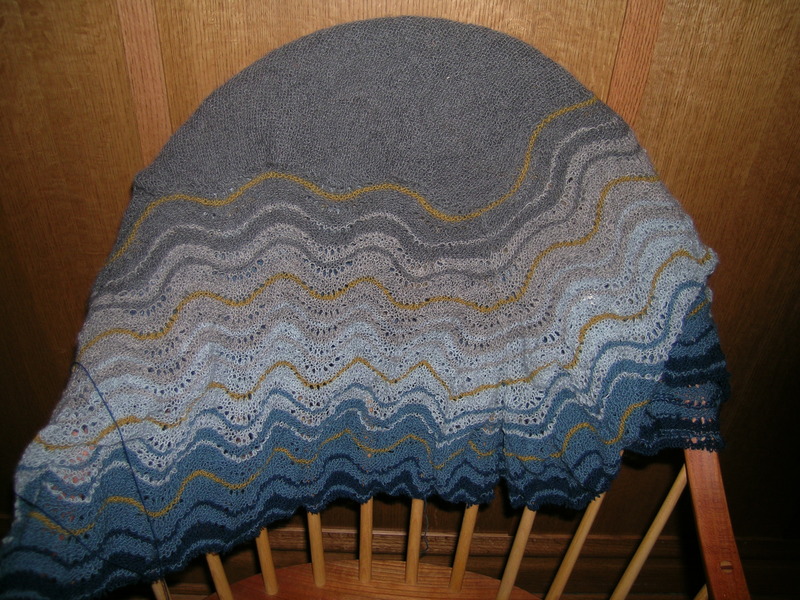 And, here is the shawl off the needles. You can start to see how it will look. I am really glad that I choose to make the large size. This is a LOT of knitting, even for me. My good friend, and knitting buddy, Mrs. Peterson of Ravelry fame, made this for me!!!! 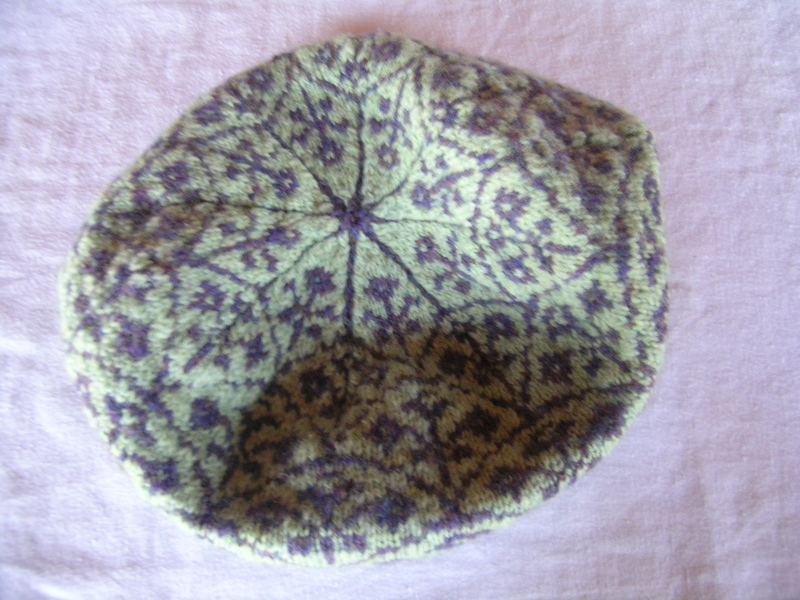 And this view of the inside of the hat… Her stitches are amazing. At SnB, someone asked to see the inside, and was properly impressed. This was such a great surprise. I had been thinking that I needed another hat, but my list of things to make for others is already long. Then this wonderful surprise, wrapped in beautiful hand decorated paper (thanks F!) was dropped at my house. And in my favorite colors, now I need mittens to go with it. I have worn is several times this week, and it has garnered soem great compliments. I will try to get a photo taken of me wearing it. Nobody has ever knit anything for me, so this is particuarly special. And it came with the best note, which is tucked away with all of my other letters. Long after I have worn this out, the note will still be there. 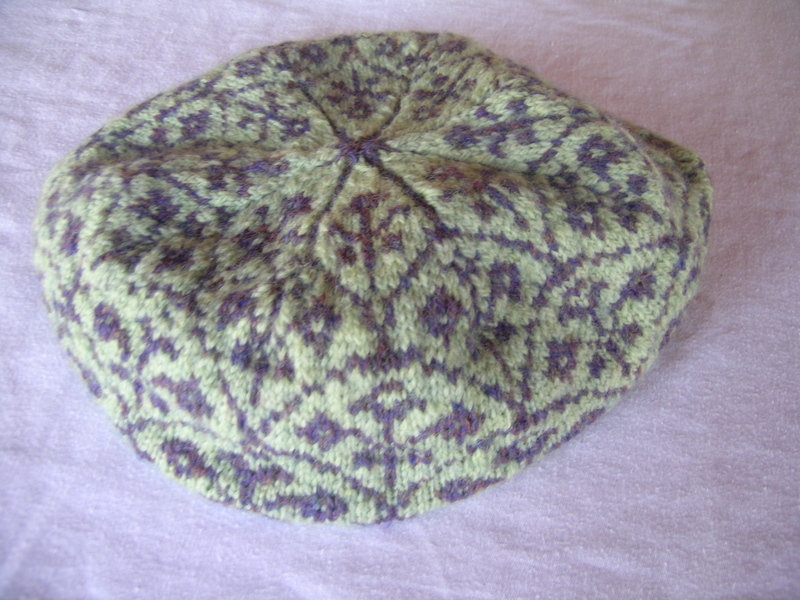 What a beautiful tam for a beautiful person. It is about time someone knitted something for you–you are always so generous with your works of art. Enjoy, you deserve it! Thanks, what more can I say. Well as long as we’re bragging about other people’s insides, may I direct folks’ attention to the inside of this awesome sweater you knit for my son? http://www.flickr.com/photos/mrspeterson/2430113028 My husband thought it looked great both ways. I have extra yarn from the two balls I’ll drop them off if you want. If you add a third color that should be plenty for mittens. I would love the extra yarn! And I too could wear this hat inside out and all but the experienced knitter would notice. I love it! 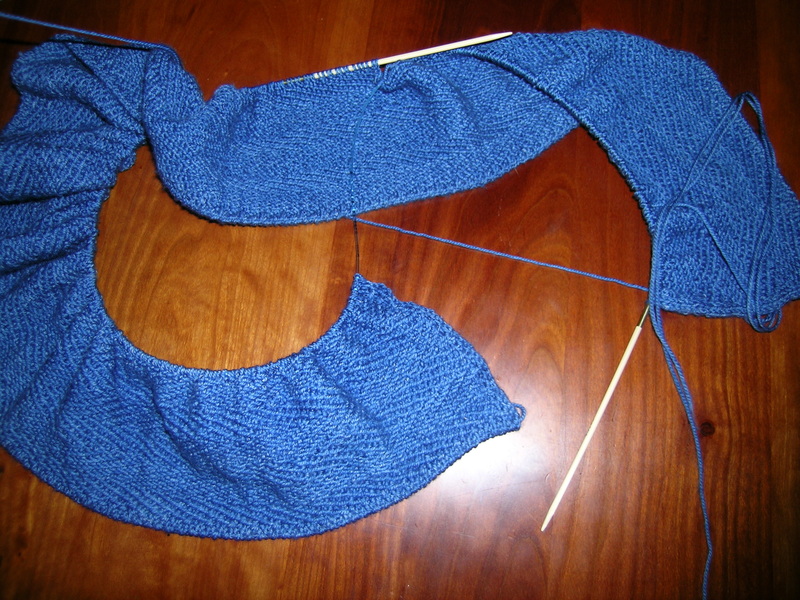 Making progress on my Evening Sky shawl (Dusk Pattern from the book The Fine Line by Grace Anna Farrow). There are a couple of errors in the chart printed in the book. I have relayed them to Grace Anna and she is formatting a new chart, so if you start this shawl, by the time you get to the charted portion, make sure that you have the correct print-out. As to be expected, progress is slow when you are at about 1,000 stitches/row. I hope that I can make this work with a 48″ circular needle (size 4), as I do not know how to do the Magic Loop technique and use 2 needles. I have some room, but a bit of stitches to add on yet. I plan on making the 52″ square version, the largest. On Sunday, after we dropped my son off at his room-mates house to get a ride back to school, my husband was saying that there was a yarn shop near there that we had been to before. I couldn’t figure out what he was talking about, but he was right, we were about 15 miles north of Geneva, and while he was referring to The Fine Line, I asked if we could stop by Wool & Company. I wanted to get some 48″ needles, and that lovely purple you see here had been calling to me. So, great guy that he is, off we went. I found only one brand of size 4 48″ circulars (addi NATURA), and bought those. I had been coveting getting a pair of Lantern Moons. I checked to make sure that they matched the gauge, but when I got home and started to use them, found that the joins were awful. One of them was as wide as my fingernail, and naturally the yarn was getting stuck. I turned them around, and they were a tad better (this is very fine yarn). So, I emailed Skacel, and told them about my problem (the store I bought them at is 50 miles from my house, so returning them there is not an option). They were very nice, and offered to replace them, the caveat being as soon as I send them to their office, naturally. So, I am hobbling along with these defective needles, until the Lantern Moon’s that I ordered arrive, and I can send these back. I will have 2 pair of 48″, maybe I will gift the replacements. It is not really an option to put 1,000 lace stitches on a holder, and I tried in vain to borrow a pair for a week or so. Oh man is that pretty. I finished the second of my lap blankets for Charity that our group was making. I had some extra time, and thought that I could make a simple second version. 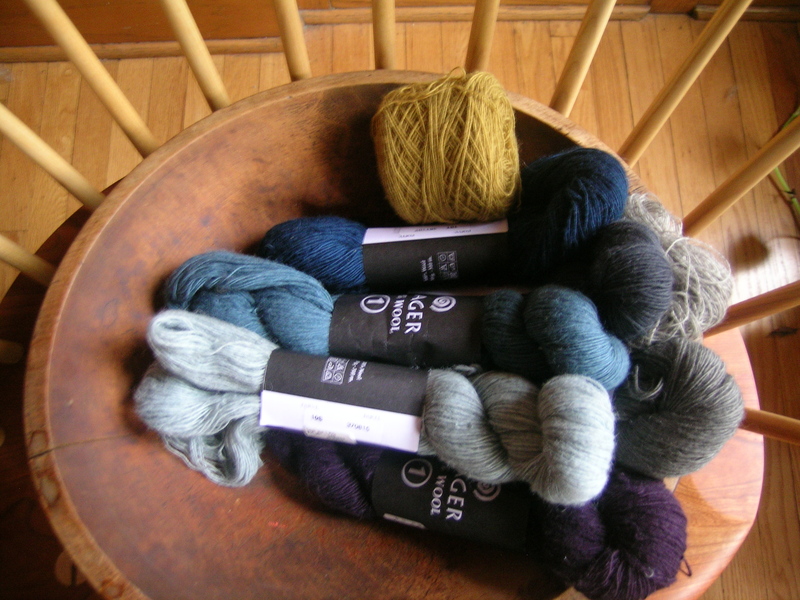 I bought yarn at sale at Nina’s in Chicago, chose colors that reminded me of wonderful, bubbly Amy. And, I made it, in 5 hours. As I was putting on the finishing touches at our meeting, Amy was drawn to the colors (by almost magnetic force), and asked what I was making. I held it up, explained, and said I was calling it my “Ode to Amy” blanket. Well, here is the blanket with Amy modeling it.